Feature-packed yet unobtrusive GUI The program displays a compact and intuitive user interface, allowing you to open multiple tabs and organize them with the help of the ‘Tabs Stacks’ feature, so you can switch between them with ease, either via mouse actions or keyboard shortcuts. However, it cannot run in multiple instances or several simultaneous windows. 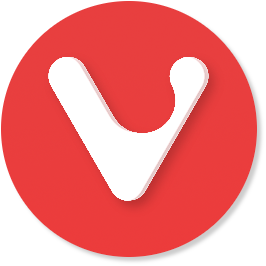 In a retractable side-panel, Vivaldi offers you various handy tools to enhance your browsing experiences, while also providing you with one-click access to its ‘Settings’ window, enabling you to customize its usage to suit your particular needs. These are also accessible by clicking on the utility’s icon in the upper left corner, which reveals a series of menus and submenus. Vivaldi allows you to surf the Internet just like any other browser, offering you basic functions as such ‘Forward’, ‘Back’, ‘Home’ or ‘Refresh’, as well as a search box that can perform Google lookups. From the side-panel, you can access and manage your ‘Bookmarks’, being able to group them into categories, open them in other tabs or remove them altogether. You can also manage your contacts’ information (email address, phone number, postal address) or you can write down notes and grab screenshots of the current webpage.